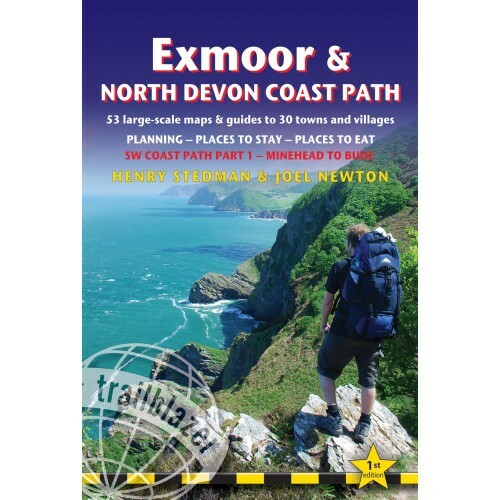 This guide to the Coast Path from Minehead to Bude (124½ miles, 200km) covers the first section, Exmoor & North Devon, of the 630-mile (1,014 km) South West Coast Path. This spectacular 10-12 day route crosses Exmoor National Park following the highest coastline in England (over 800ft), through idyllic villages such as Lynton and Clovelly, by some of Britain's best sandy beaches, and around Hartland Point to Bude just into Cornwall. This guide includes accommodation, pubs and restaurants in detailed guides to 30 towns and villages. 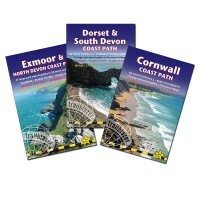 Includes 68 detailed walking maps at just under 1:20,000, these are bigger than even the most detailed walking maps currently available in the shops. Unique mapping features: walking times, directions, tricky junctions, places to stay, places to eat, points of interest. 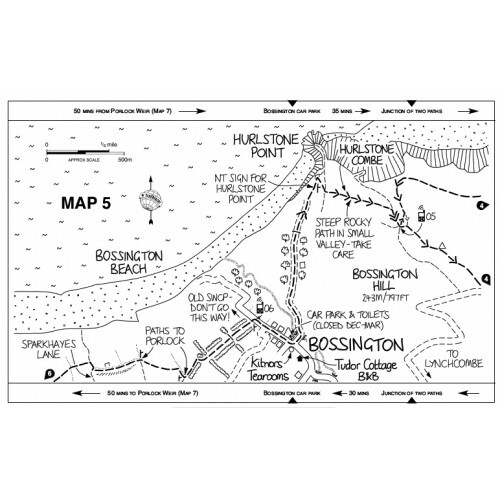 These are not general-purpose maps but fully edited maps drawn by walkers for walkers. Itineraries for all walkers – whether hiking the entire route or sampling the highlights on day walks or short breaks. Practical information for all budgets. What to seel where to eag (cafés, pubs and restaurants), where to stay (B&Bs, hotels, bunkhouses, hostels and campsites).